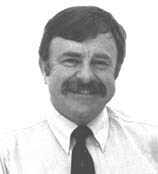 Gary Mull was one of the most prolific and successful US sailboat designers working in the later half of the 20th century. His credits include the Santana 22, 27, and 37; the Ranger 22, 23, 26, 29, 32, 33, and the SORC-winning Ranger 37; the Newport 30 and 33; the Kalik 44; the Freedom Independence, 28, 30, 36, 42, 45; a variety of winning raceboats from the Half-Tonner Hotflash, built by the Gougeon Brothers in 1976, to Two-Tonners like Carrot (1976), to the 12-Meter USA; the Capri 22, which he designed with Catalina's Frank Butler in 1983 (more than 800 sold); as well as many oher custom designs. He served as chairman of the International Technical Committee of the Offshore Racing Council, the group that administered the IOR (International Offshore Rule). His firm employed a number of other designers who ultimately developed their own separate reputations including Carl Schumacher, Jim Antrim and Ron Holland.